"Kinong is one of thousands of Indonesians who have opened their own library in their own communities. 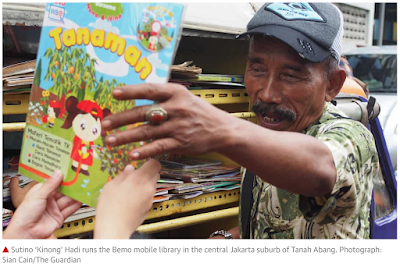 Estimates suggest there are thousands of such libraries in Indonesia, started by ordinary people with great initiative to address the lack of books in their area and funded by occasional donations." Read more in this Guardian article.